The FSR self-regulating heating cables can be used for preventing frost on any floors of structures such as cold storage warehouses and small parking lots, and also for heating inside dormitory, lounge, auditorium, etc. 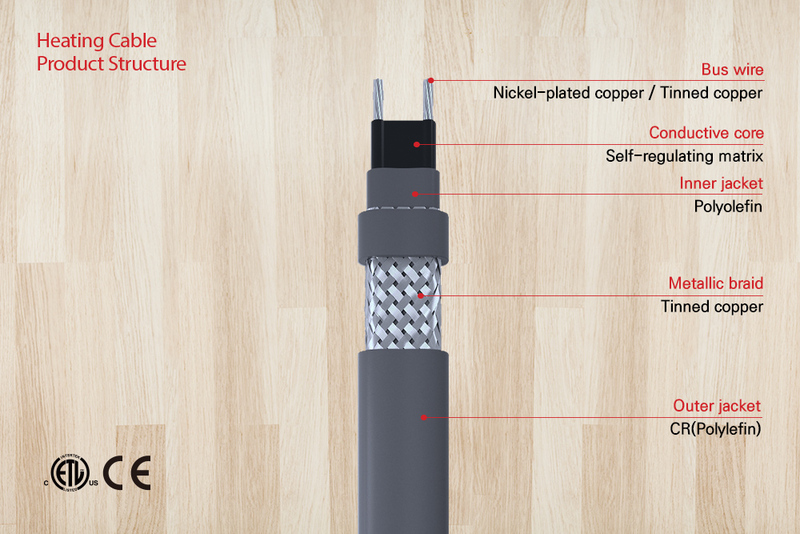 FSR is non-magnetic and therefore its screening effect keeps the cables from emitting electromagnetic radiation that is harmful to our bodies. Through self-regulating property, it can also increase energy efficiency.